This week I'm not doing a full recap of last night's Supernatural, so we're going into comments to discuss the true meaning of cartoon character logic smashing into the real world like an Acme product in Bugs Bunny. 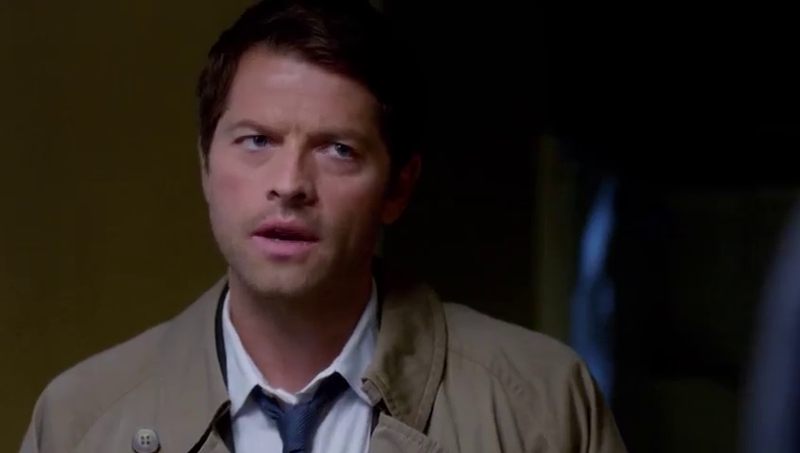 We also had the occasionally funny/occasionally unfunny schtick with Cas trying turn Hunter and be one of the guys. It reminded me of one of those painful Star Trek: TNG episodes where Data would try to learn humor or romance or music, and would sort of bumble along being too much of a superhuman as well as a bit fussy. I really felt like the central trope of the episode — the cartoon schtick — was trying very hard to be something other than a gimmick but failed. What did you think?